Huawei E398u-15 is the right stick for mobile LTE service of Germany carrier Telekom and it’s also called “Speed Stick LTE “. The LTE Stick E398u-15 is extremely attractive and offers many nice features and is also compatible with the major standards for wireless internet. 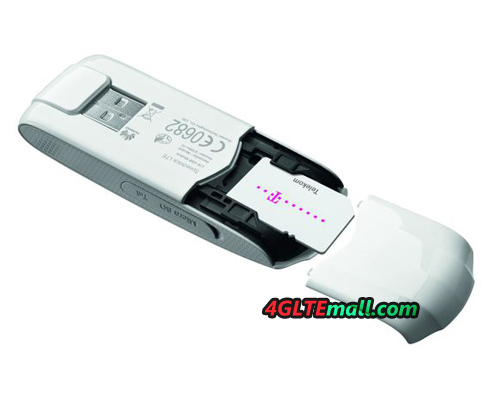 Below you will find all the key features and general overview for the Speedstick LTE E398u-15. LTE is rolled out by Germany Telekom for two years. The first was in the city of Cologne in July 2011. In 2012, the 4G network plans are to go over 200 cities. 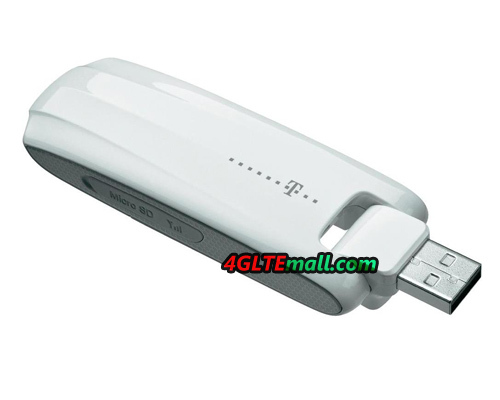 On the body of the LTE Stick, there is the logo of Telekom. On the back is the exact name E398u-15, this is the second Revision of HUAWEI E398. Compared to its predecessor, the stick is now finally LTE800 compatible. Therefore, users can surf via LTE in rural areas. Also, the LTE bands 2.6GHz and 1.8 GHz are supported. Speed Stick is the ideal USB datacard not only for urban use. With two integrated antennas (MIMO 2 × 2) and the support of up to 20 MHz bandwidth, the E398 can support up to 100 Mbps downstream and up to 50 Mbps upstream. A clear advantage over the Samsung GT-B3740 is the excellent backward compatibility with 3G DC-HSPA+/UMTS and 2G GPRS/GSM. If the 4G LTE network is not available, the stick can easily switch to the next available technology. There is a microSD slot that can be up to 32 GB for storage. Then the Surfstick could turn to a USB memory stick, for example for storing music, photos or other documents. The Speedstick LTE has two connectors for external antennsa. In areas of poor reception, the signal can be improved with the external antenna. According to the data sheet from Telekom, the device E398u-15 supports multi-mode network of mobile technology automatically. By the way, the firmware update function is also available in the mobile partner. What’s more, the USB is rotatable for 270 degree, user can modify the USB angle to better fit for the computers. We recommend that the terms on a new contract at Telekom. This is much cheaper than buying without a term contract on 4gltemall.com. If you don’t want a LTE stick with a contract, there is unlocked Speedstick LTE E398u-15, which could not only work with Telekom, it could also work with Vodafone and other 4G network providers in Europe and Asia.